Well, this is not actually a whisky yet, as it is only a bit over 2 month old. It is called “Single Malt Spirit Drink”. 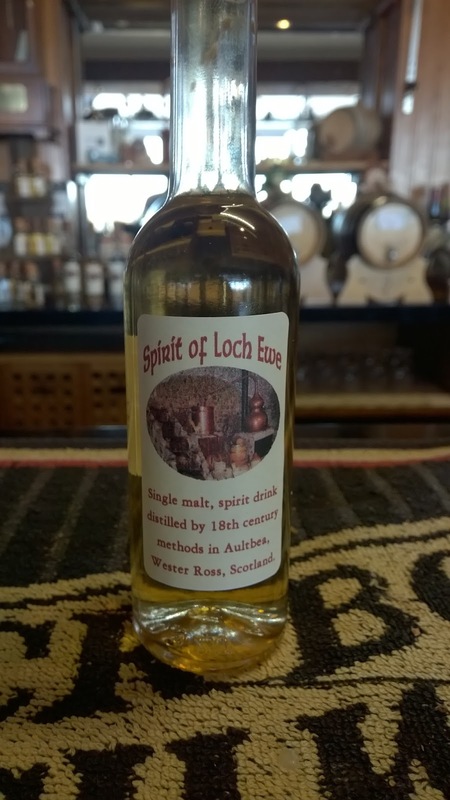 The spirit is made normally but the whisky is matured in 4,5 liter casks. Loch Ewe is the smallest distillery in Scotland. The smell is fat, creamy and malty, but also seems very young. A bit sherry influence in the taste, but mostly the sweet malty barley and some alcohol. It has a nice and warm finish. Sweetness and light fruity notes. Not that complex experience, but nice to try something from the smallest distillery in Scotland. I would love to try something older from Loch Ewe. I will give this 77/100 (18/18/20/21).